Rock for Love 6 is celebrating the Church Health Center’s 25th birthday September 6th-9thin midtown Memphis. The festival kicked off yesterday at the Hi-Tone Café with Mark Edgar Stuart, The Merry Mobile, Mouserocket and Jim Mize performing. Rock for Love is full to the brim with music, food, and includes a block party at Overton Square on September 8th. 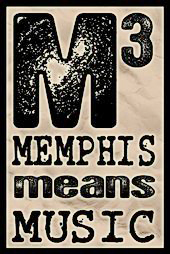 Artists include the renowned Memphis Dawls, a local group of talented Memphis musicians whose career has soared since opening for Jack White last spring, as well as the legendary artists Booker T. and Al Kapone. The Rock for Love festival is a collaboration of newage sound, Memphis blues, classic soul, jazz, and unimaginable talent. Each of these musicians have their own, unique voice, yet adds to a single voice that is Memphis. If you’re looking for a good time this weekend, there is no better place to be. Rock for Love brings many musicians and music lovers to the Memphis area, thus enhancing our musical culture. The rich diversity of this weekend is a delightful treat that you just can’t miss. For more information, including the complete schedule and line-up and ticket information, visit RockforLove.org. All proceeds will go to the Church Health Center.